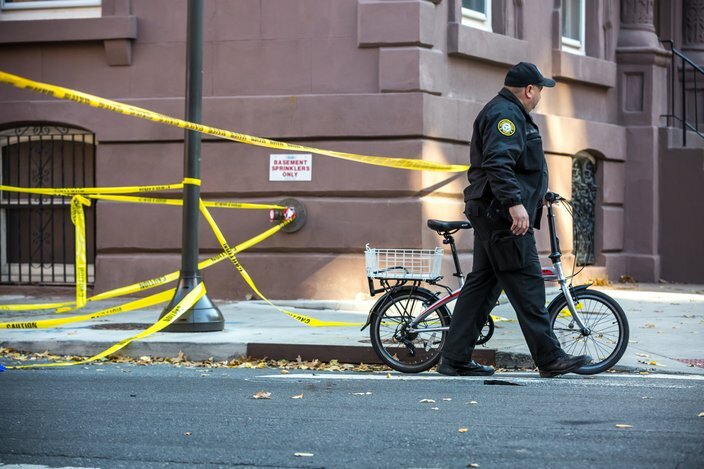 A female cyclist was struck by a garbage truck at the intersection of 11th and Spruce streets on Tuesday morning, according to police. She was pronounced dead at Jefferson Hospital. 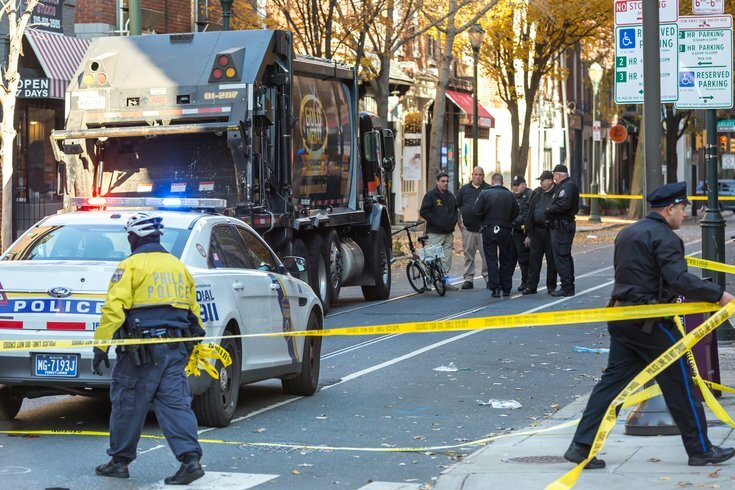 A bicyclist was killed Tuesday morning after a garbage truck struck her in Center City, according to Philadelphia police. The incident occurred around 7:25 a.m. near 11th and Spruce streets. Medical personnel transported the victim to Thomas Jefferson University Hospital, where she was pronounced dead at 7:50 a.m. The victim's identity has not been released. Police were at the scene investigating for several hours on Tuesday. No arrest has been made. The truck belonged to a privately owned sanitation company, Gold Medal Environmental. Police are still trying to determine the cause of the incident, which occurred on a street with a dedicated bicycle lane. "What we know is that the truck made contact with cyclist while she was on her bike," Capt. Sekou Kinebrew said during a press conference Tuesday afternoon. "Did she end up underneath? That part, we're not sure." The victim, who was 24, lived in the area of Seventh and South streets, according to police. The Bicycle Coalition of Greater Philadelphia and Fifth Square are organizing a vigil to be held at 5 p.m. Wednesday at 11th and Spruce streets. A Philadelphia Police officer removes a bicycle from the scene at 11th and Spruce streets where a cyclist was killed, Tues. Nov. 28, 2017. The vigil will honor the victim and include several speakers, Bicycle Coalition spokesman Randy LoBasso said. The speakers may call on the city to expedite road improvements designed to enhance bicycle safety. "If you look at Spruce and Pine streets, the bike lanes have just been decimated," LoBasso said. "They're faded down to almost nothing. It's difficult to tell on some blocks that there's even a bike lane on those streets." This is the third bicycling fatality this year, according to the coalition. Four bicyclists died in traffic incidents last year. Seven died in 2015.